Berlin, January 08, 2018: Atotech strengthens its Operations organization by welcoming John Stephenson as Chief Operations Officer (COO) effective February 1, 2018. John will be part of the company’s senior management team and report directly into the CEO, Geoff Wild. The position of COO has been newly created and will be based in Atotech’s headquarters in Berlin, Germany. “I am delighted that John has accepted the position. 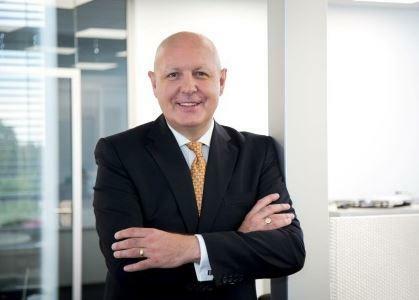 He is a seasoned international business leader bringing in a wealth of experience in managing operations and supply chain within global industrial companies,” says Atotech’s CEO, Geoff Wild. John will oversee all of Atotech’s global supply chain and operations and will ensure that the company utilizes its best practices and skills worldwide in the areas of production, purchasing, quality management, and logistics. He will also be responsible for balancing Atotech’s manufacturing and transportation footprint on a regional level, improving its on-time deliveries to customers, and optimizing procurement on a global scale. Prior to working with Atotech, John served as COO and Board Member for Operations and Supply Chain Management at the NORMA Group, a global market and technology leader in Engineered Joining Technology solutions. Other previous positions include Vice President Operations, Europe, Asia, and Africa with Hayes Lemmerz International, and Director Operations, North Europe, with Textron Fastening Systems. John began his career in 1992 at Valeo, a manufacturer of vehicle security systems for OEMs, where he held various management positions.